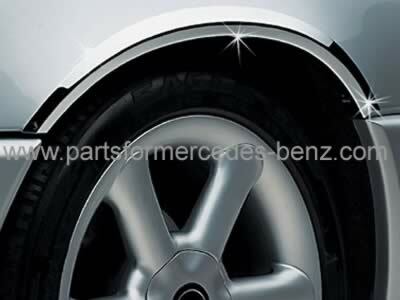 Stainless Steel Wheel Arch/Fender Trims (Set of Four). Stainless Steel, will not rust or flake unlike cheaper imitations. Simple to fit without specialist tools or knowledge. Can be clipped, or screwed on as desired. Supplied with rubber edging material. Don't be tempted by cheaper, inferior items offered on the net, these items are quality aftermarket enhancements to your Mercedes-Benz.